Dr. Jai’s LeadersHIP HOPportunity Program provides the transition from vision to mission, highlighting leadership and life development concepts, gleaned from Hip Hop Culture, specifically, the named elements. Hip Hop is a movement. It has given a sense of expression in our communities for 40 years! It has grown artists, philanthropists, and entrepreneurs. It has created leaders, pillars, and game changers of the community. The “voice” that was previously criticized is now a critical platform for business and leadership. One thing’s for sure, a different voice is a heard voice, whether in infamy or in praise. Hip Hop has survived the latter and sustains the former. The initial knowledge of the culture has not lost its influence, but the impact of it recently goes unrecognized in some areas, including leadership. 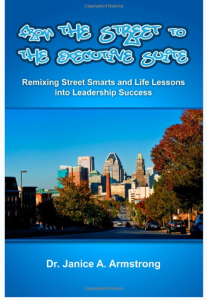 The program is currently used at the SEED School of Maryland, a Baltimore City School, which directs, educates, and motivates youth to enter college settings for future educational and personal growth. The program currently has a cohort of 20 student leaders and its activities will impact over 400 students, via training and speaking engagements. In the LeadersHIP HOPportunity Program, we “Make LeadersHIP”! Dr. Jai wants emerging leaders to love H.I.P. H.O.P: Having the Inner Power to Hone Our Purpose. This program endeavors to bring hip hop and leadership together to provide youth and young adults growth opportunities. We would love to bring our program to your emerging student leaders! It’s not just a course and it’s not just education; it’s change. Furthermore, it’s Hip. It’s Hip Hop. It’s Hope.